Fashion industry is one of the biggest impact on the environment, as it requires a high consumption of raw materials and energy, both in terms of production and distribution. It also involves a significant generation of waste and emissions. Since 1987, Humana is promoting environmental protection by encouraging the recycling and reuse of used textile, by applying the philosophy of the 3Rs: Reduce, Reuse and Recycle, which acquires a fundamental value in the fashion industry. In 2013, the Foundation collected around 18,000 tn of used clothing and shoes, that going to end up in a landfill for incineration, have caused the emission of 57.042 tn of C02*. Therefore, the benefit to our planet that has textile reuse and recycling is unquestionable. -Villacarrillo: 29 May, 3 and 5 June, textile recycling workshops for adults and children in the Leisure Centre and the Paseo del Santo Cristo. -Morón de la Frontera: 5 June at 19:30 in the Jardines de la Carrera, textile recycling workshop for children aged 6 to 12 years. 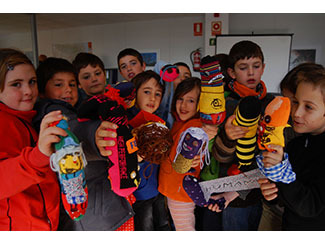 -Alcalá del Río: 6 June at 20:30 in the Plaza of Spain, textile recycling workshop for children aged 6 to 12 years. -Maracena: June 10, from 11:00 to 12:00 pm in the home of pensioner, textile recycling workshop for adults. 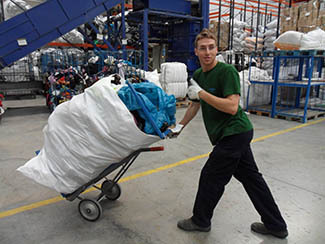 -Los Prados (Oviedo): 5 June: each person supplying used clothing at the Mall gift will get a plant and a reusable bag . June 7, textile recycling workshops and storytelling. And throughout June, exhibition "Our Climate, our Challenge". -Inca: June 5, at 17:00 pm in the Plaza of Spain, textile recycling workshop. -Mallorca: from 9 to 17 June, Monday to Friday between 8:00 and 15:30, Sociocultural Center Consell, Social Agriculture Exhibition. -Vilanova: As of June 5, Social Exhibition on Agriculture. 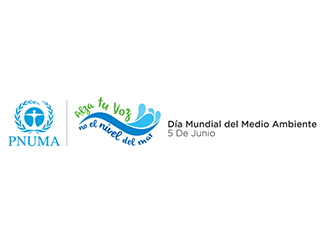 June 7, participation in Fira Environmental Ambienta't of Vilanova; and from 11:15 to 13:30, puppet workshop. -Ripollet: June 6, at 17:00 pm in Natura House, puppet workshop. -Sant Joan de Vilatorrada: June 7, from 11:00 to 13:00 hours, puppet workshop. -Martorells: 8 June , from 10:30 to 13:30 hours , puppet workshop. -Santa Cruz de la Zarza: June 5 , at 19:00 am, workshop "The climate is changing." -El Boalo: June 5, between 11 and 14:00, puppet workshop. *Source: Waste Management Options and Climate Change. Final Report. European Commission, DG Environment.